SYDNEY – Canada’s women’s sevens team has won their third HSBC World Rugby Women’s Sevens Series cup title after capturing the Sydney Sevens with a 21-17 win over USA. It’s Canada’s second cup title in the least three series events. They previously won the cup title at the Clermont Sevens last May in the final stop of the 2015-2016 season and the Amsterdam Sevens during the 2014-15 season. Canada improved to 3-4 all-time in series cup finals. Canada entered Sydney in sixth place in the series standings through one event this season, but after earning 20 points with their first place finish, they jumped ahead of Fiji, England and Russia into third. New Zealand stay atop the series standings after claiming the bronze medal in Sydney, while Australia remain in second place just two points up on Canada after finishing fourth. Canada began day two action with a 26-5 win over Russia in the cup quarterfinals then followed that up with a 12-7 victory over host Australia. The next stop in the series is the Las Vegas Sevens in early March. 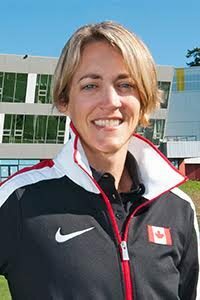 Canada’s women’s sevens program is centralized out of Canadian Sport Institute Pacific’s Victoria campus, located at Pacific Institute For Sport Excellence (PISE).